Happy Mother’s Day, Mama Mary! Yep, this is our greeting for our dear blessed Mother. We greet her deep inside our hearts for she leads us to the love of her beloved Son – Jesus Christ our Lord! For the first day of the Year 2013, I preferred making this simple image from Photoshop – with “Believe” as a powerful teaching from Mama Mary. “Behold, I am the handmaid of the Lord…” (Luke 1:38) – Mama Mary teaches us to “Believe” because God knows who we are and what we are called to. She experienced lots of uncertainties (even suffered from them), but she remained certain that the Lord is there – He is in control of everything. He will always be there for us. As Mother of God, she teaches us to have faith in the Lord. “My soul proclaims the greatness of the Lord…” (Luke 1:46) – Mama Mary teaches us to “Believe” because deep inside us is the image of the Emmanuel – “God-with-us”. She sang one of the greatest songs in the history of mankind – the Magnificat – from her spontaneous response of joy in the Lord. We are the image of a loving God. As Mother of God, she teaches us to give our best shot. “Do whatever He tells you…” (John 2:5) – And Mama Mary teaches us to “Believe” because we can find our true fulfillment in Jesus. She knew well that Jesus brings true joy and peace to all, and so she leads us to her Son. What we need to do is perhaps to have a listening and a pondering heart like her. As Mother of God, she teaches us to say our ‘yes’ to the Lord’s call. Greetings of Christmas to you! Today, December 19, our Simbang Gabi Chronicle leads us to the story of Zechariah and Elizabeth in the Gospel. With “identity” as the theme for our reflection today, I cordially invite you to see and feel the presence of God in our lives – how God works in us in special and unique ways. 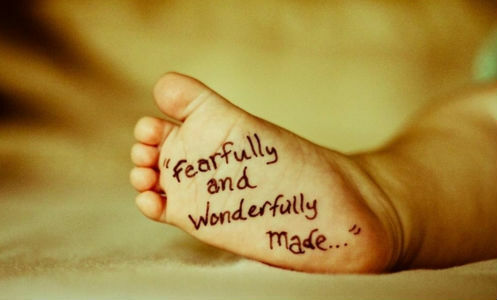 Hence, we are reminded of the psalmist’s song in the Holy Scriptures: “I praise you; for I am fearfully and wonderfully made” (Psalm 139:14). With the Gospel today and the Psalm, I am reminded of the significance of my name. My parents named me after two great saints: St. John Bosco and St. Francis of Assisi. Up until now, they have been my examples on how I live my Christian faith. Even being named after them is already a gift and a blessing to me. In their lives, they remind me how God loves me so much – and I would love to proclaim it to everybody (amidst my lapses…). I could not just help but notice that this endeavor, a child being named after Saints, is gradually vanishing. It is a puzzle to me that many children are named according to celebrities (good if they serve as good examples) and other peculiar names. Now, what’s going on? What’s happening? Perhaps, with the influence of social media and technology, we become attracted to what is “popular”, “tasty”, and according to public opinion, rather than on what is essential. We begin to identify ourselves with productivity more than our true identity. We confuse things between our needs and wants. We seek approval based on public opinion and not on the true and real. What happens now is a collapse of the search for meaning, which in turn would cause us to neglect recognizing our true identity as men and women in the image of God. This is catastrophic – and would be one of the greatest tragedies people would see. But perhaps one of the greatest victories people would experience is to recognize our true identity as the beloved of God. Hopefully this Christmas Season, and the days to come, amidst a busy and noisy world, there would always be courage to stand for life identified in God’s love. This begins when we respect who we are – that we cannot just abuse ourselves and kill ourselves for the sake of getting more. There is more in respecting our growth, rather than in rushing our growth. Everything will fall in its proper place. That is why if we decide not to screw up our identity by being absorbed by worldly dictates, it would be nice to always draw a demarcation line between what is necessary and what is extra. It takes time but it harnesses our will to search on what is meaningful in our life. After all, when we come to terms with God, He would not be asking us what were our accomplishments. Rather, He would ask us how we lived our life in His image. Christmas, aside from being a liturgical celebration, is also a celebration of human identity – for the humanity of Jesus (much the same with our humanity) was never an accident. Jesus’ humanity, as well as our humanity, has its purpose – and it is fearfully and wonderfully designed by God. We just have to search it.